The 2015 GMC Terrain has everything people look for in a small SUV, and it's been toughened up to have everything people expect in a GMC truck. Visit Cutter Buick GMC, serving Wahiawa, Kapolei, and Pearl City in O'ahu to see how rugged a small luxury SUV can be. Ford's Edge is new for 2015, with new motors and a slightly bigger exterior, but that doesn't mean it's better than the tried and true 2015 GMC Terrain. 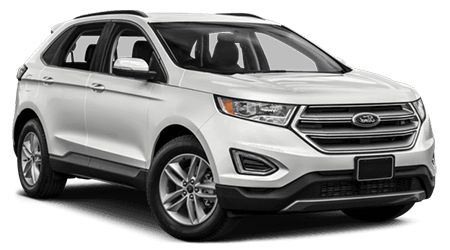 The starting price of the 2015 Ford Edge is more than $3000 higher than the GMC Terrain. For that extra cost, you would expect to get a lot more standard equipment, but you don't. Even the most basic of Terrains includes a standard rearview camera, 110v outlet, a rear seat that slides and reclines, and OnStar with lockout assistance, SOS calling, and turn by turn directions from human operators. Even the top of the line Terrain Denali is several thousand less than the top-level Edge Platinum. Both SUVs offer smartphone-like touchscreens and voice command capability that make you feel like you're piloting a Star Trek spaceship. Ford has the Sync and MyTouch system, while GMC offers the IntelliLink suite which displays on a 7" touchscreen. The Ford system has gotten many complaints from buyers over the years, and some have even returned their Ford cars because of it. The GMC IntelliLink system has gotten nothing but positive feedback since its debut a few years ago. This newest IntelliLink system allows your car to provide broadband internet and even a Wi-Fi hotspot through the same system that OnStar uses. While the new Edge comes with a turbocharged four-cylinder as it base engine, which out powers the Terrain's base engine, the Terrain offers an optional V6 power plants, which breaks the other way. The top engine choice for the GMC Terrain is a powerplant shared with the powerful Camaro sports car: a 301-horsepower, 272-lb-ft., 3.6-liter V6 beast. The Edge Platinum's 3.5 liter V6 makes just 285 horsepower and 253 lb-ft. Combine that extra V6 power with the nearly 400-pound weight advantage, the Terrain has over the new Edge, and it will win the on-ramp drag race every time. 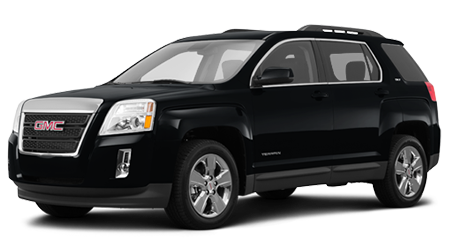 Drivers on the lookout for a small SUV with chiseled good looks and legendary GMC quality should check out the 2015 GMC Terrain. Come see the entire GMC line at Cutter Buick GMC in Waipahu, HI and find out just how good they really are.